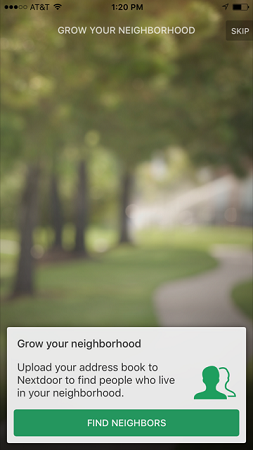 Nextdoor is a social app that helps you communicate with your neighbors. Social media provides a modern option for communicating and corresponding with others, and Nextdoor can help. As an alternative to traditional forms of social media, Nextdoor offers a way to foster relationships with your neighbors without having to knock on their door. With the Nextdoor app, you can start discussions with your neighbors to bring attention to important issues within your community. Next Door provides a great way to stay in touch with your neighbors. You may have to do some work inviting your neighbors to use Nextdoor. The service only becomes available in your neighborhood once membership has reached ten verified members. After the installation is complete, launch the app and get ready to chat with your neighbors. Once you have logged in with your new username and password or logged in with Facebook, the app will prompt you to find your neighbors. Are your neighbors using Nextdoor? 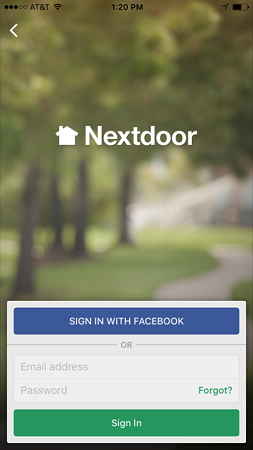 You can allow Nextdoor to access your device’s contacts for easy access or select neighbors manually. As you move your way through the signup process, Nextdoor will ask you to turn on notifications so that you can receive messages from your neighbors. 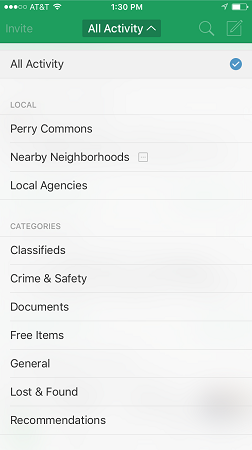 Once you have configured these items or chosen to skip them, you will be taken to the app’s main feed where you can see posts from your neighbors. You can invite others to join Nextdoor at any time. In the top left corner of the main feed, simply select the Invite option. 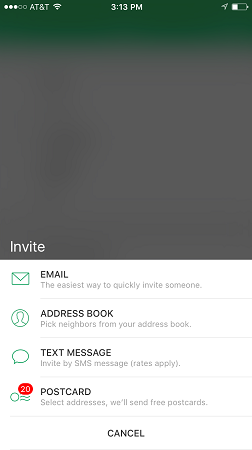 From there, you can invite others via email, your device’s address book, text message, or Nextdoor’s postcard. Invite your neighbors to communicate on Nextdoor. Check here for additional information regarding Nextdoor’s address verification process. Nextdoor is very easy to use. The discussion forum style in the main feed makes it easy to start new discussions with your neighbors. In the main feed, you can see all activity posted by users in your area. Similar to the response features available on Facebook, you can take actions to reply to your neighbor’s posts. You can “Thank” them for posting, “Welcome” new members, or “Respond” to a neighbor’s post with a message. If you are searching for something specific, you can also filter your activity. Find what you need by filtering your activity on Nextdoor. Check out the Nextdoor Guidelines for more information regarding tips for proper usage. Nextdoor provides each user with an individual inbox. Use this option to send and receive private messages with your neighbors. If you don’t feel your correspondence is useful to the neighborhood, opt to use a private message instead.